Yesterday was a whirlwind. Thanks to some fantastic luck and coordination from friends (not in low places) I had a chance to attend the Garth Brooks Pittsburgh press conference, interview Garth Brooks (which you will see video of in the near future) and then go to the opening show last night. The first realization that this was happening was there we (Scott from 321Blink) and I sitting in room full of “real” news people. 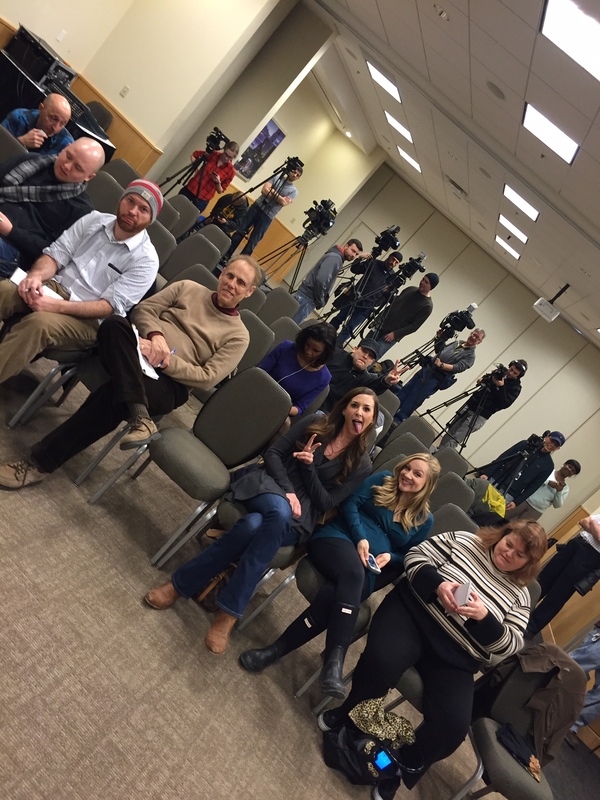 Carson from 104.7 FM, Lisa Sylvester (WPXI), Dave Crawley (KDKA), Kelly Brennan (WTAE), Scott Mervis from the Trib and well….us. Below is a quick excerpt from the press conference of Garth Brooks talking about his love of the black and gold. Here’s the deal. If you have tickets to one of his 5 other concerts in Pittsburgh this weekend, you are in for a treat. If you don’t have tickets yet, even if your one of those “I don’t do country” people, get some tickets. I’m certainly no concert reviewer, I don’t even remember what songs were played in what order but I had a helluva good time. By the end, with zero alcohol, I was so pumped up that I wanted to run up on that stage and give him a chest pump like as if we were buds! I eventually used that built-up energy to run to our car in 5 degree weather or, as I refer to it, play post-concert-walker-roller derby with all of the slow-walkers who chose to saunter back to their cars 4 or 5 across clutching each other. The best part of the night… being able to hear the song “Friends in Low Places” actually being sung by Garth Brooks as opposed to, the 1,325,901 times I have heard it at a karaoke bar during Garth’s 17 year lay-off. The sad part is, now 19,000+ people times 6 Pittsburgh shows, are all now going to be falsely re-energized about their level of talent in singing that song at the next karaoke outlet! 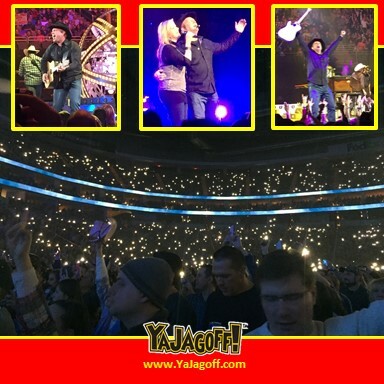 Good times Garth Brooks…. good times! Thanks for the show and the generosity with your time yesterday. You’re the real deal. If you ever need a new city to call home, you fit in perfectly as a Pittsburgher. We’ll even teach ya how to catch Jagoffs! See a verse of Friends in Low Places sung for realz!